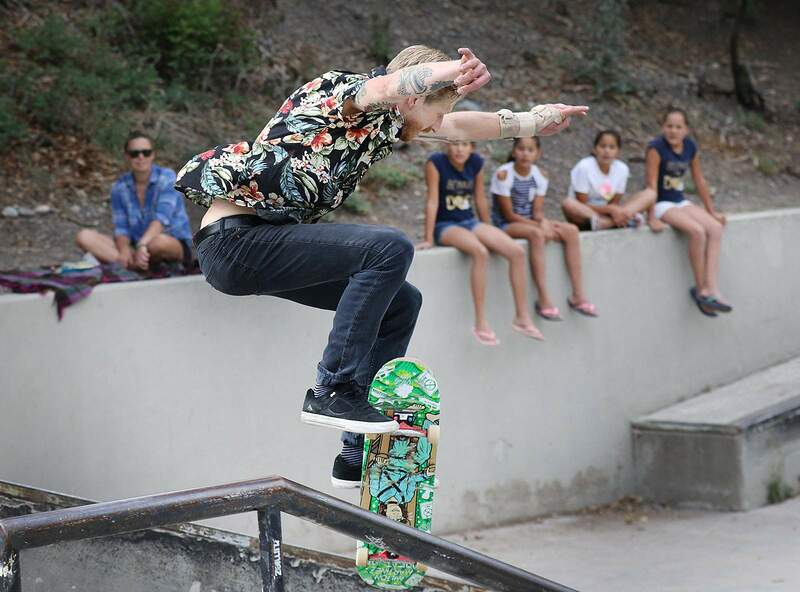 Lucus Hess impresses the crowd and judges while competing in “Thrasher Thursday’s” in July at Schneider Skate Park. The park will undergo construction Sept. 13 through Nov. 30. The city of Durango announced construction will be conducted Sept. 13 through Nov. 30 at Schneider Skate Park, 950 Roosa Ave. The project will be conducted at the north end of the park, and will provide shade shelters, walkways, seat walls and a drinking fountain. The skating facilities will remain open throughout the project. However, Animas River Trail access adjacent to the skate park will be closed Monday through Friday during construction. The parking lot at the intersection of Roosa Avenue and El Paso Street will also be closed during the project length. For more information, call or email the Durango Parks and Recreation Maintenance Division at 375-7384 or rec@durangogov.org.